Kyle Porter lays out his thoughts on a signature OSU win over Boise State. These are the things I’ve been whispering to myself since Oklahoma State absolutely thrashed the No. 17 team in the country (and a small road favorite) in Stillwater on Saturday, 44-21. BUT SCREW IT I AM ALL IN CORNDOG DOESN’T EVEN HAVE TO BE THAT GOOD FOR OSU TO GET TO NOVEMBER UNDEFEATED THIS IS STARTING TO FEEL LIKE 2015 ALL OVER AGAIN. 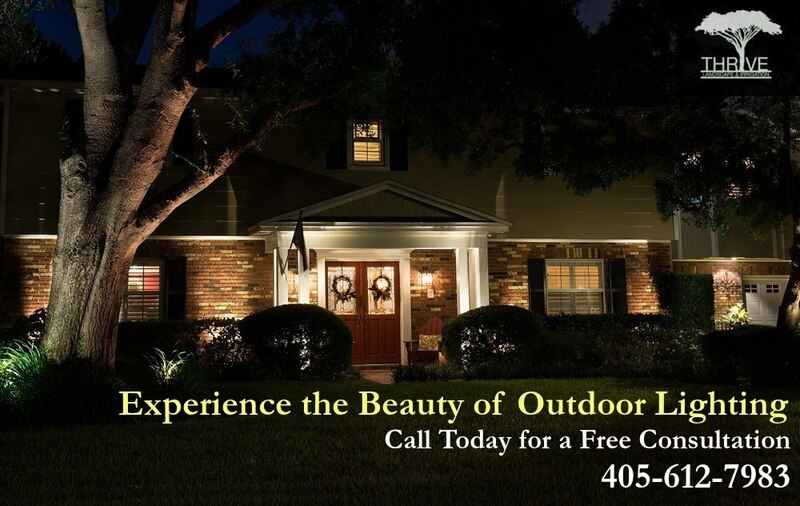 And a thanks to our sponsor, Thrive Landscape and Irrigation in Stillwater, USA. I am trying to get them a spot on the TV broadcast sponsoring the Calvin Bundage Memorial Neutral Zone. Would get a lot of air time. What do you do when you have an outrageous stable of running backs and enough wide receivers that you kinda sorta sometimes don’t miss two NFL Draft picks all that much? You let your former walk-on QB who went 1,700 days between starts run the ball for most of the first half, of course. Taylor Cornelius finished with 16 carries for 41 yards, which sounds pedestrian. It wasn’t. Letting him run it so many times in the first half did a few different things for the offense. It opened up various other avenues that you just couldn’t open when Mason Rudolph was taking snaps in Stillwater (again, nobody is or should be saying that Cornelius > or = Rudolph) and it also forced 14 into the flow of the game. I don’t know if either of those were intended or if OSU was just taking what Boise gave them, but the possibly unintended byproducts of letting the seventh best runner on OSU’s offense take over the game with his legs in the second quarter were invaluable for a unit that looked like it was possibly scuffling toward a QB change after the first. Mike Yurcich should get a lot of credit for letting Corndog loose on the ground in the first half and then pulling him out of it when it wasn’t as necessary in the second. I’m not sure Corn would agree with this given how bloody and beaten he was after the game, but Yurcich managed him brilliantly throughout. The offense has Tylan + Tyron, and the defense apparently has Brailford + Bundage. They combined for 11 total tackles 3 sacks, 4 tackles for loss, 2 forced fumbles and a QB hurry … in the first half. They ended with 18 tackles, 3.5 sacks, 5 tackles for loss, 2 forced fumbles and a QB hurry. Two human beings posted those numbers! Boise had zero answers. 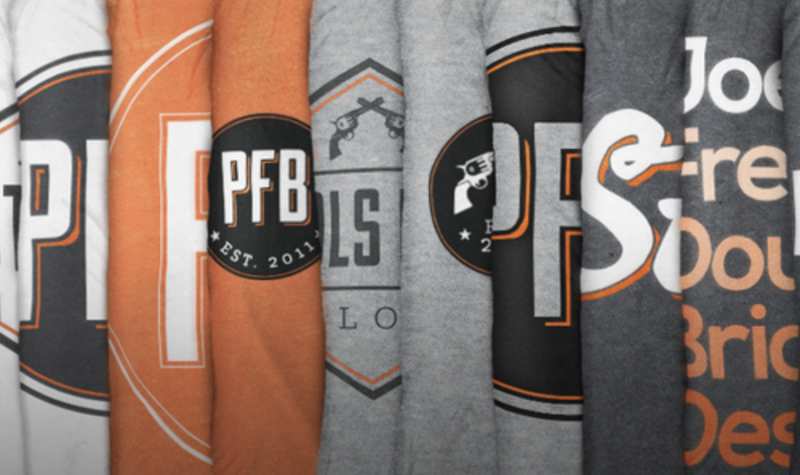 Even when they didn’t get to him, they still had a massive impact on what Boise did. That pair helped OSU hold Boise to 34 rushing yards on 31 carries. A real stat! Even though Boise ran 23 more plays than Oklahoma State, they still had fewer yards when Gundy tucked his hair under the back of his visor. Here’s the deal: What happened on Saturday is not always going to happen. OSU allowed Boise to score on just three of its 12 offensive drives. They disguised, they blitzed, they did everything short of shoving Calvin Bundage inside a trojan horse and letting Cole Walterscheid roll it across the neutral zone in front of Brett Rypien. I am cautiously* (operative word) starting to believe that Oklahoma State just might be good on defense this season. It looked phenomenal on Saturday, and I’m glad about that. Philosophically I think it’s the right way for Oklahoma State football to play defense. But there are going to be days when it doesn’t work as well, and I think I’m ok with that too. Because when you have an offense as elite as Oklahoma State’s (generally speaking, not necessarily this season), you can still win when it doesn’t work. And you’re pretty much always going to win when it does. Plus it’s fun to watch OSU do to teams what it feels like is always done against them on third down. I did not expect the phrase “Boise-Oklahoma State game decided by Oklahoma State special teams” to mean what it meant on Saturday. After Matt Hockett shanked a punt in the first quarter (a Hockett rocket … anyone?) 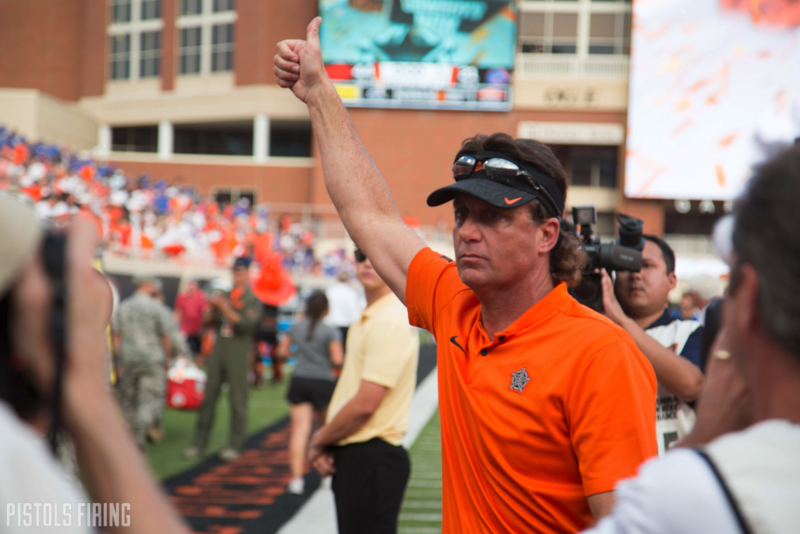 it seemed like business as usual for the not-for-profit division of Oklahoma State football. A blocked punt and doinked FG later, and I was screaming, DEFOREST WHO?! at my computer screen. It doesn’t mean OSU’s special teams are solved, but it does mean that somewhere deep within all the fallibility there’s some good lurking. Then Za’Carrius Green effectively ended the festivities with his scoop in the fourth quarter, and I started writing my “you know having two defensive line coaches is really where college football is at in 2018” recompense post. Justice has become the oldest child of this OSU offense in that it seems like everyone collectively says, well I know we don’t help him because we’re dealing with all of our other kids, but we trust him enough to figure it out you doing ok son HEY JELANI THAT’S THE WRONG ROUTE ok where was I with Justice. So oldest son Justice just does his own thing, creates his own space and grabs his own TDs. No assembly required. He’s kind of unbelievable. The announcers mentioned this a lot, and I agreed. OSU’s defense is built around speed, and Boise tried to exploit that a lot of the time, which, as it turns out, is not the greatest idea. 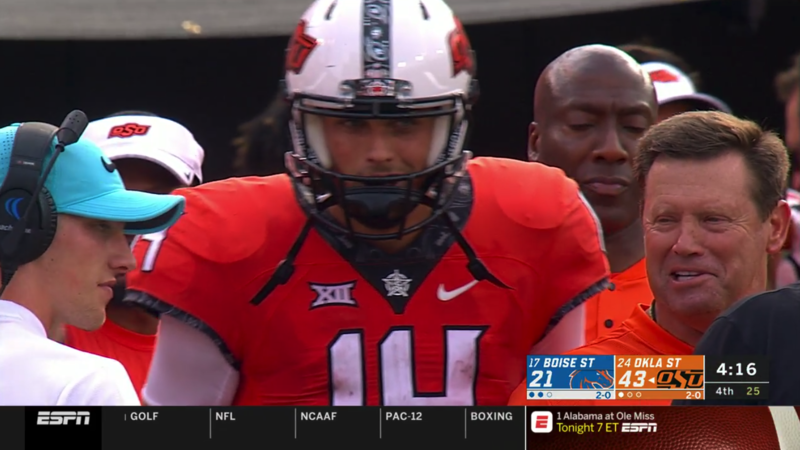 Different styles will affect OSU differently this season, but on this afternoon in Stillwater, Boise couldn’t out-Oklahoma State Oklahoma State. Regardless, this is exciting to me. When is the last time OSU played a ranked team and looked legitimately much faster than that team (*ignores half of A.J. Green’s plays*)? I came into the season loving this secondary even though it’s quite young (maybe because it’s quite young), but it’s always difficult to tell against the Missouri States and S. Alabamas of the world. I’m not going to dub them 2001 Miami or anything like that, but Knowles clearly knows what he’s doing with his athletes and OSU has enough of them for it to work … so far. 7. Was the offense actually good? Not to be the wet blanket here, but OSU’s going to have to be much better offensively to contend in the Big 12. It got covered up by special teams (who would have ever thought that?) and defense (ditto), but they just didn’t have the flow offensively that you’d like to see (although TC did have one “WHAT? !” throw in the middle of the game). Their goal line offense remains a problem and even though the red zone numbers look really good, they aren’t scoring enough touchdowns down there either. I think Gundy knows TC and that side don’t have to be elite for this team to be really good, but they have to be better than they were on Saturday. This struck me toward the end of the game, but I think in a lot of ways Boise is the Group of Five version of Oklahoma State. I’m speaking more of a program because obviously Rypien and Corndog are different players, and Justice is about three levels above what Boise is rolling out there. But generally speaking they have fast, fun offenses that are dependent on creating turnovers on defense and getting good special teams. OSU exploited in Boise the very things it has struggled with of late, which was a pretty fascinating to watch. • Justice for 53 in a “take your breath away” run that included a “FOR THE FINAL TIME, DAX HAS ELIMINATED OU” stiff arm. • J.D. King for 1 yard. • J.D. King for 8 yards (some poor defender regretted stopping him after one yard). • TC for 10 yards over the next two plays, cut to Rob Glass doing the ? on the sideline following his boys rolling up and down the field late in a game against a top 20 team like it was the first drive of the game. Three games, and now you know what you have. This was a barometer for the rest of the season, and OSU looked as good as I expected them to look in a way I did not see coming. The offense needs some work. The defense needs to stay healthy and the special teams need to do whatever they did this week (no doubt Gundy will take credit, whatever it was) for every week the rest of the season. I say this knowing full well that Texas Tech-Kansas-Iowa State is trappier than an 18th century fur trader, but I can’t help myself following a three-TD rout of a team that would probably contend in the Pac-12: From what I’ve seen of the Big 12 and this OSU team thus far, why can’t they be one of the two teams to emerge and play for the conference title in Dallas in early December? In what was supposed to be a rebuilding year, Oklahoma State will move to 3-0 — and could potentially be favored in every game leading up to Bedlam Nov. 10.